A new addition to the fleet. Acquired at auction in Holland. 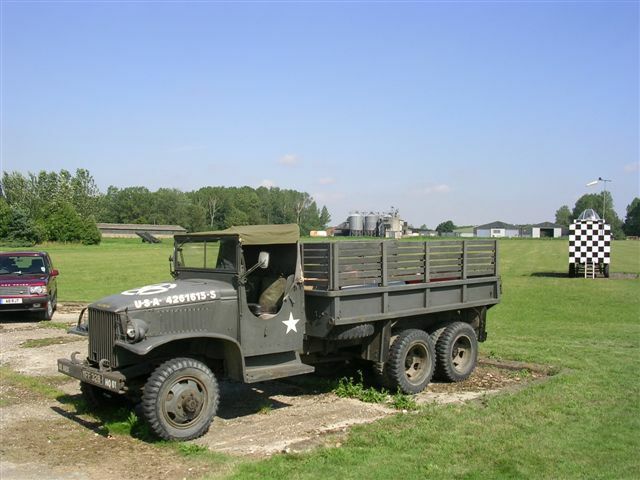 A GMC CCKW -353 750 gal Gasoline Tank Truck. 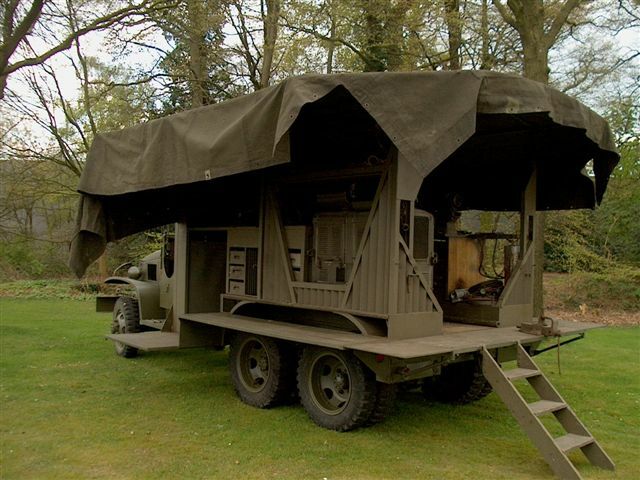 This was the only tanker built in significant numbers for and to be used by the U.S. Army Ground Forces in World War 2. This vehicle was purchased in 1997. 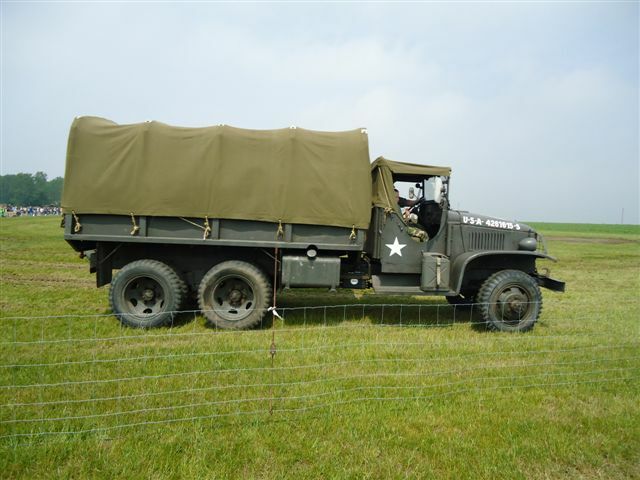 Since it has been at Debach, it has had it’s engine fully reconditioned and new canvas has been fitted. 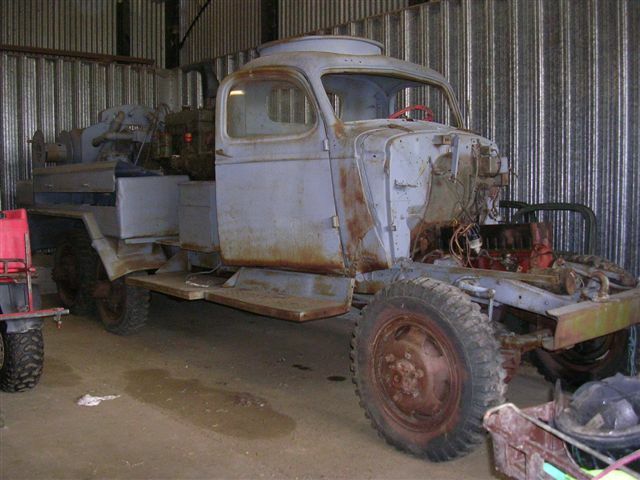 This vehicle was purchased in France in 2003 and it needed restoration. The odometer registered less than 2000 miles on the clock and having looked at the brake drums the honing marks from new are still visible. We have to assume that this is the correct mileage. The bolster truck was used to carry the M4 floating bridge. This is a pontoon bridge. These bridges enabled vehicles to cross large rivers such as the Rhine. 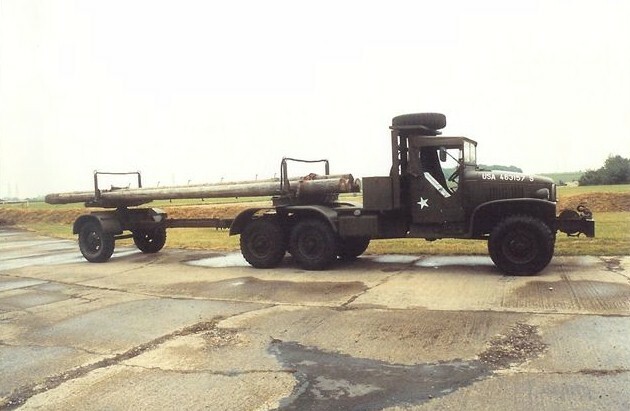 The truck has a slip pole trailer attached to the rear of the truck and the unit could carry 2 halves of a pontoon and planking for the roadway for vehicles to cross the river. 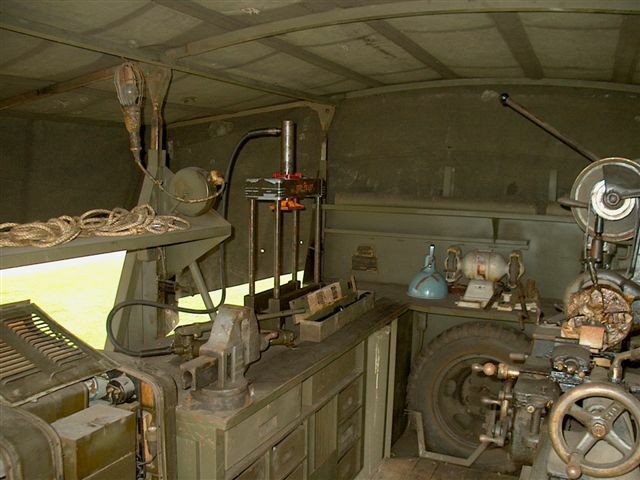 The compressor truck has now been restored (2012). The restoration started in autumn 2009. 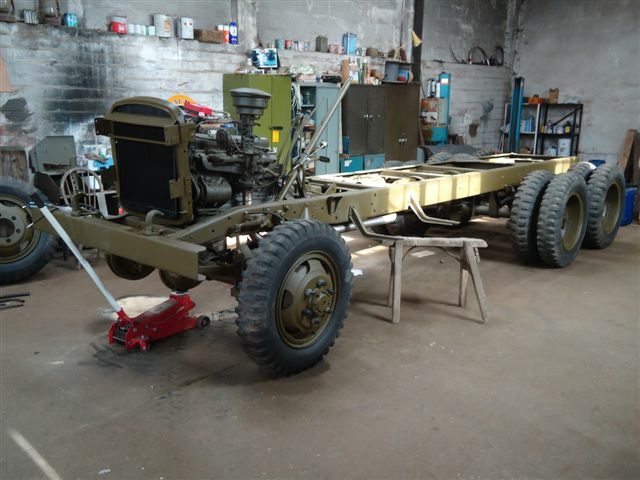 The truck chassis, engine, gearbox and brakes have all been restored and painted. Work has begun on the cab. The floor in the cab is in a very poor state. 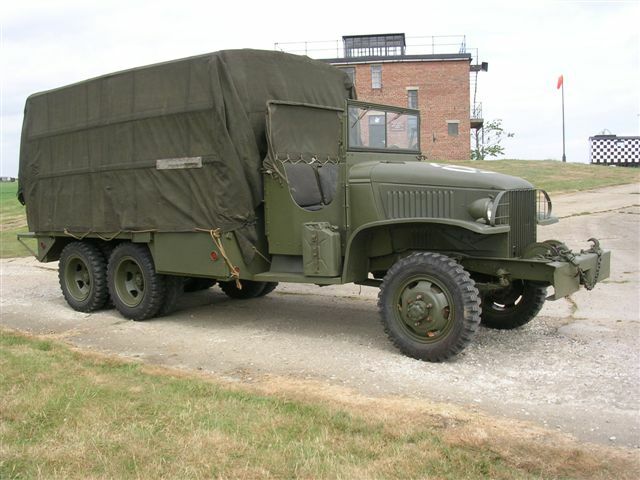 The Le-Roi compressor that is mounted on the back of the GMC chassis is powered by a 7.7 litre four cylinder Le-Roi petrol engine. Restoration hasn’t started on the compressor yet but the engine has been started and the compressor pumps air. At the moment, we are missing a sheet pile driver and a chain for the chain saw – have you got any of these? All these tools would assist the engineers in making and repairing bridges, railway lines etc. The latest addition to the collection arrived in May 2011. 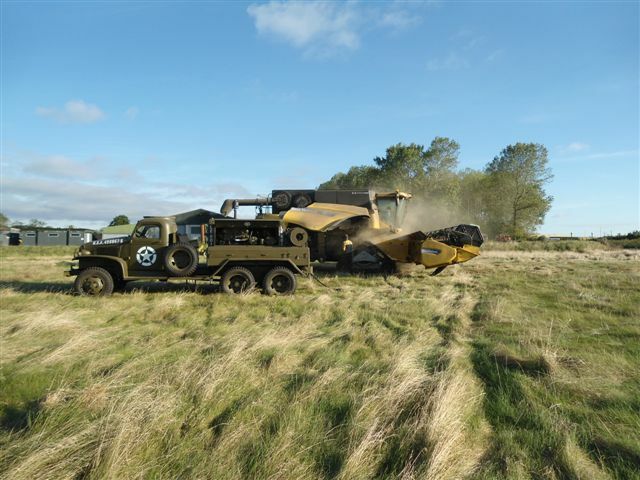 This rare vehicle is only one of very few known survivors. 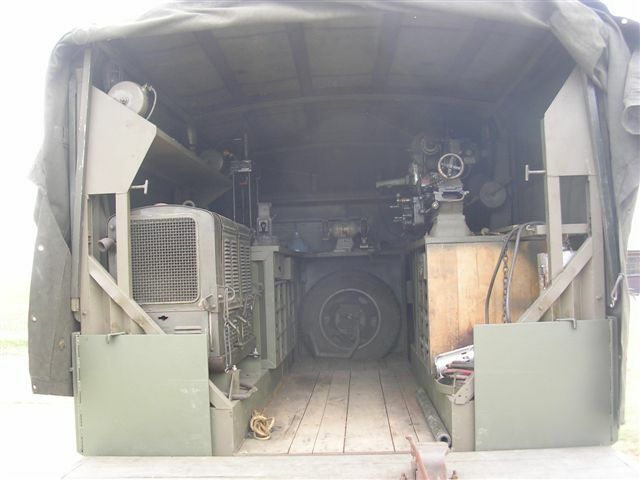 It is still fitted with it's original lathe, hydraulic press, grinder, drilling equipment etc. and is powered by it's own on-board generator. There are numerous other implements which are still being 'investigated'. Another addition to the Debach fleet. 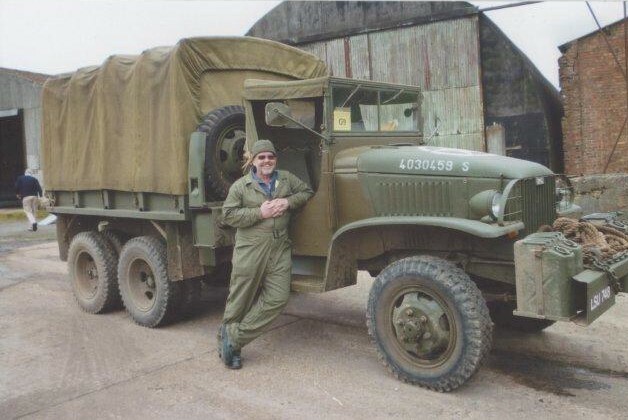 This vehicle belongs to Darren, a volunteer with us and is subject to an ongoing restoration in our workshop.